Here is a book to read and enjoy. Filled with stories of human achievement, high drama, and unforgettable tragedy, 1001 Days That Shaped the World presents an accurate account of each event chosen, and explains the events physical, cultural, social, or economic impact on the world. Hundreds of evocative photos and illustrations. We all remember those once-in-a-lifetime days when a milestone event transformed the world--such as JFK's assassination, the first lunar landing, the Tiananmen Square Massacre, and 9/11. You now hold in your hands a comprehensive record of those life-changing moments. Authoritatively compiled by historians, scientists, and journalists, 1001 Days That Shaped the World is an essential guide to the most extraordinary days humankind has known. Each of those days has formed the mindset of a culture, the history of a country, or the shape of a region. This fascinating guide is perfect for everyone who wishes to discover more about the triumphs and disasters that have shaped our world. Certain days mark turning points in the world as we know it. Most people who were alive at the time will remember where they were when Martin Luther King was assassinated, or when the Berlin Wall fell. Such events define the end of one era and the beginning of another, marking transitions that help us map out the ebb and flow of human history. You now hold in your hands a comprehensive guide to those extraordinary moments, written by respected figures from the fields of science, history, and journalism. Each entry features a detailed account of an epochal event, along with an informed assessment of its cultural and social impact. 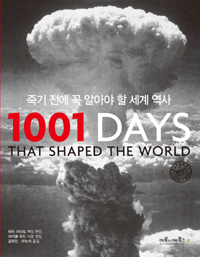 Selected from events covering a vast expanse of time, 1001 Days That Shaped the World is history told through key moments, decisive encounters, memorable incidents, and disastrous events, whether triggered by human action or brought about by nature. Each event featured in this book has formed the mindset of a culture, the history of a country, or the shape of a region. Amazing photographs, incisive text, and revealing quotations make this book an essential guide to the events that have shaped the world as it exists today. Peter Furtado has been editor of History Today magazine since 1998. He holds degrees in history and art history from Oxford University, and over the last thirty years has edited many reference works on world history. Peter Furtado is a fellow of Britain's Royal Historical Society and the editor of History Today magazine. Over the past three decades he has edited many reference works on world history, including the Atlas of World History.